Thank you Marlene, just stopped by the house. Looks fantastic! I can see your crew has a high level of detail. Yes, I will certainly recommend you and will use your services again in the future. They were courteous, helpful, prompt and highly organized which was a true lifesaver as our move was on short notice. As storage customers, I have known Marlene Jesse, and their team, for over a year. They are always a pleasure to work, with and have gone above and beyond for me, on multiple occasions, under tight turnaround schedules. They will definitely be my first choice, for moving and storage, going forward. I wouldn't often give a 10 (i.e. a "perfect" score), but that is simply how well MOD did - they did perfectly! From the setup, to the estimate, to the move, and then the follow up I just can't praise these guys enough. I have now used them twice and they will be my first go-to the next time I need to move. Outstanding service, trustworthy, and personal pride in their work. My wife and I used MOD Movers and cleaners to pack and store my parents furniture after they had to move into our home for medical reasons. We live 2 1/2 hours away from Monterey and needed a company that could do the packing and unloading to make it easier on us. As a bonus we used MOD cleaners to come back and clean the house so it was ready to be returned to the rental company. The original quote was a three day project... Day 1 was packing up all the contents of the home and loading it onto the truck. Day 2 was unloading all items and placing it into the storage and day 3 was cleaning the home. After they got to the house on day 1 the said they would try to complete everything in one day. They didn't make it in a day but they did finish the entire job in 1 1/2 days (very fast). They treated our items as if it was their own. I never had a worry that any furniture, art, or anything else would get scratch, broken or lost. All the employees were friendly and professional. On the final day of cleaning the home looked better than the day my parents had moved into the property. I reported to the storage unit to make my final payment and see the storage unit. Everything looked great the payment was fast without an abundance of BS to go through. They even gave me a product to place into the storage unit to help keep any humidity to a minimum. Overall it was a great experience and worth every penny!! Great experience; on time, professional, friendly, and excellent deep cleaning. They were friendly and professional. They were on time, did a good job, and made sure I was satisfied before they left. Very professional team that takes pride in the work they do. Jesse and Marlene were great - on time and got it done! Thanks. Marlene gave us a terrific deal and was wonderful to work with. The workers did a very good job and Jesse made sure they carefully wrapped anything that needed it when they loaded it. I was very happy with the service provided. Jessie and his crew were above and beyond a professionals and hard workers. I will recommend them to any of my friends. Great job!! The facility is clean. The employees are vigilant and communicate well. Jesse, the General Manager, is a true professional. It was an easy place to use. Would recommend. Best & Most Affordable Moving Service On Peninsula! I am very happy with the moving services! They were extremely professional and worked very hard the entire day while moving all my furniture and boxes. They were extra careful with my antique furniture and wrapped it with shrink wrap. The entire experience was one of the best moves ever and I know moving is up there with some of the worst chores. The estimate of moving cost is provided up front and was very accurate. I highly recommend this moving company and business. Marlene and Jesse are the best! Facility has a convenient location, and I always had an easy time interacting with the friendly staff. They set me up with a 5x5 unit at a good price, and even made sure that it was located as close to an entrance as possible (only a few steps from where I would park to load/unload). The facility was always clean and in good repair, and I always felt that my belongings were secure. Checking out was an easy process, too. Should I need storage again, I would go back, and I am happy to recommend them. I was a long term customer having been with the Airport Road Self-Storage for more than a decade and through a couple of ownership changes. I recently had to move out and I have to say that Nick really took care of me and made the whole process a lot easier. I would definitely rent again in the future. Best run storage facility in my 31yrs of military service. I must compliment Jesse and Marlene Corpus as well as Nick Dunn for their ALWAYS CHEERFUL and HELPFUL service. This Monterey team does your company proud. Dear Dr. Nero, Thank you for taking the time to review your experience with us. I am very pleased to hear that our staff made your time with us a positive and cheerful experience. Do checkout our Facebook and Twitter pages for promos that you might be interested in. Looking forward to seeing you again soon. Since I last wrote, MOVE-IN DAY has come and gone...without a hitch! The managers at 21st Century Storage in Monterey couldn't have been more welcoming or accommodating (like when we realized we had packed our crescent wrench and they let us borrow one from their tool box). We chose one of the hottest days this Fall to accomplish our move. Fortunately, the front office sells ice cold soft drinks at $1 a pop! Best of all, the facility is incredibly well designed for easily navigating lots and lots and lots of stuff from our rental truck to our two storage units on the second floor, what with the large freight elevator, rolling carts, and good lighting. Lo and behold, by the end of the day, we discovered we would need a third unit to store everything we have to store. Marlene and Jesse Corpus once again came to our rescue and just secured us the last large space on the same floor as our other two. 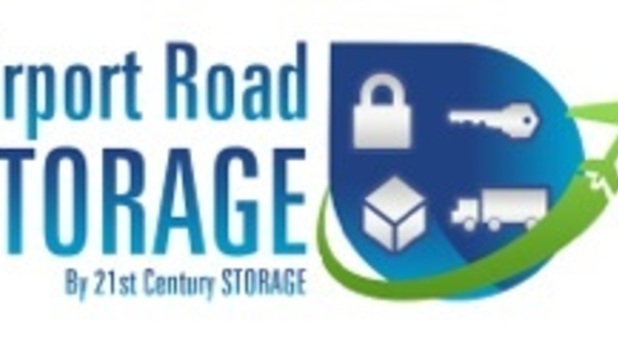 I know it sounds odd, but we actually look forward to going to our storage units, now that we have moved to 21st Century Storage on Airport Way. Storing here is clean, cool, comfortable, safe, and secure. I did a lot of price searching and these facility by far was the cheapest. Because they were so cheap I thought the place was going to look HORRIBLE. To My surprise as soon as I walked in the store, there was a GREAT SMELL of CLEANLINESS throughout the air. Also the there was a lovely lady who took care of me quite Professionally and her personality was really warm. I believe I made a EXCELLENT choice when I chose to come here and rent with them than the other expensive and not as caring storage places in the Area. Thank YOu, YOU GUYSS and keep up the great work. This being my first experience with storage was made simple and easy by the caring and friendly people. I would like to commend them on their knowledge and expertise. The facility manager is always very friendly and professional. We have stored items in a lot of different places but this the cleanest place ever and most accommodating. My experience renting a unit was extremely positive. The facility manager was very friendly, informative and knowledgeable. I'm very satisfied and will definitely refer everyone I know with storage needs here. Best facility on Peninsula by a mile! It's kept immaculately clean.